Up first as our pick as the best gaming chair, we have an affordable, comfortable and effect model to check out. Equipped with the necessary features to deliver optimal support for you during your gaming sessions, the Executive Swivel Leather gaming chair is highly regarded by gamers worldwide. This chair offers full back support including specific shoulder support, as well as for your head and neck. There is also a tilt Locking mechanism with a 90-180-degree angle adjuster to meet your specific posture preferences. 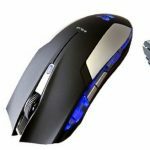 It is easy to move around in and comes with color caster wheels to provide you with the opportunity to remain mobile during your video game play. 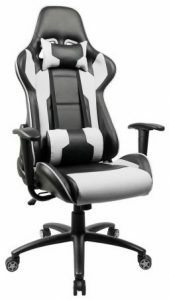 Premium leather material also makes this one of the best chairs for gaming when it comes to comfort. In addition, for those of you who are worried about support or the weight support, this is a chair that can absorb up to 300 pounds in weight. 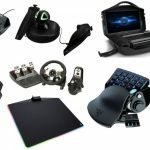 If you are a gamer that understands the benefits of finding comfort during your sessions, then you can certainly understand the extreme benefits of the Homall Executive Swivel Leather which opens up our guide at number one due to its combination of price-friendliness and overall effectiveness. 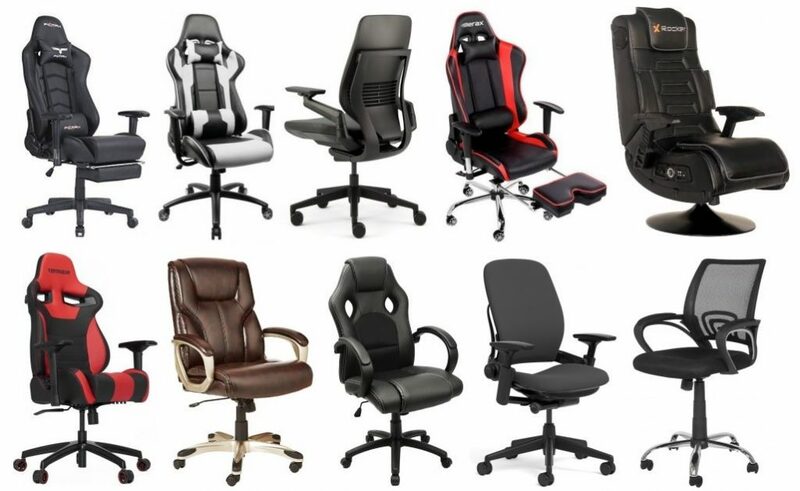 Gaming is at its finest with the Ergonomic High-back chair. Built as an office sized desk chair that contains a lumbar massage support and retractable footrest, this chair comes designed with a free USB electric massage, headrest pillow, and the perfect sized seat cushion and adjustable footrest. 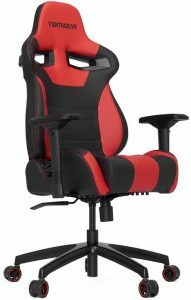 If you are looking to improve your long gaming sessions with enhanced comfort, this chair is a great place to start, although it’s a bit more expensive than our previous pick if you wanted to spend some more cash on a chair that’s higher in quality. The chairs material is of high-quality PU leather, with high-density thicker sponge. 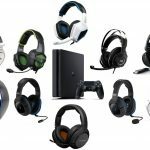 It is also built for versatility to make your gaming experience that much better with a 360-degree swivel and 90 to 180 degree backwards movements. If you are a serious gamer, are looking to improve your overall play, and have some extra cash to grab something higher-end, the Ficmax Ergonomic High-Back is a great place to find just that, coming in as second as the best gaming chair in the market right now. 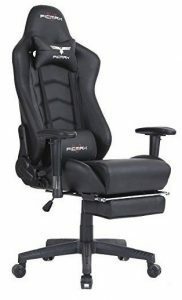 Although the previous pick was ‘higher-end’, this thing is top-notch and by far the best chair for gaming if you’re willing to invest nearly a grand on your sitting adventures. The Gesture is a distinctive chair that is designed with enhanced and high-technology that will alter the way we enjoy relaxing. Designed with a back and seat that essentially moves as your body moves, this is a way to increase the users continuous support, regardless of how long they are sitting. This is also a multi-use chair, so if you enjoy sitting for long periods of time at your desk or enjoy those long television sessions, this is one of the more comfortable options, and of course one of the best gaming chairs around. A few other highlights include weight-tested for 400 lbs., a built-in core equalizer for lumbar support, and moving arms that adjust with yours.The Steelcase Gesture allows you to multi-task as you can now wheel around, adjust your arms, so you can now respond to texts, change the channel, or jot down notes while not even needing to adjust. 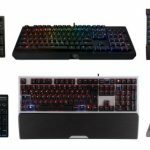 However, the material here is a large part of what you’re paying for, as well as advanced internal builds that are designed specifically for lumbar support. This is a high-back chair that offers great sustainable support throughout your long-hours of gaming and of course, sitting (unless you stand while you game?). This chair is ergonomically designed, which means that is crafted with optimal design and technology, enabling the user to have great comfort regardless of whether it is being used for gaming, TV watching, desk work or chilling out. Because of the chairs armrest angle, seat and height adjustment, as well is its ability to recline, this is a chair that is often regarded as one of the best chairs for gamers with reviews that don’t lie. On top of that, the 360-degree swivel rotation as well as foot rest (as seen in the photo) features add versatility to the chair. 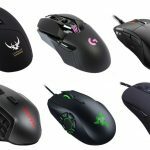 Offered with super cool colors to match your personality, and fun features makes this one of the more popular gaming accessories out there. If you were looking for a budget-friendly chair for gaming that still has some nifty features to add to support and comfort, then the Merax High-Back Gaming Chair certainly an option that shouldn’t be ignored. 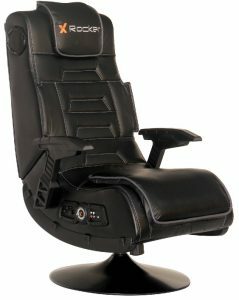 This one here is not only one of the coolest looking chairs in the gaming accessory industry but also one of the more comfortable options as well. The SL4000 is a gaming chair that brings great support as it offers an ergonomic support system that also comes with convenient adjustability. This chair features a contoured backrest as well as a high-density padding for additional reinforcement. What makes this most expensive is the premium padding. If you were concerned with material (which we are, at least), it’s built with PVC water and stain resistant leather. Aside from the aesthetic look and ideal design, included with this chair is a pillow, lumbar support, and casters to give you everything you need and also one of many reasons why this is considered one of the best gaming chairs out there as we reach the halfway point of our guide. Don’t think too hard on this accessory, because the Vertagear Racing Series SL4000 gaming chair that won’t let you down. It’s a bit more expensive than the others however is only about half the price as the beastly Gesture we previously listed. Let’s talk something more broad and standard, here. This is a multi-functioning high-back chair that is customized to meet a versatile range of individual’s needs. Although not necessarily a ‘gaming chair’. this is a chair that is considered first in its class and can be used for a number of applications and is just merely an effective chair for anything you can think of. In terms of Amazon’s features with this, the chair is fully adjustable and has a butterfly seat plate, settings that enable the user to adjust their seat as they please, and bonded leather and PVC material here, so it isn’t just a cheap mesh chair you can find at Office Max. 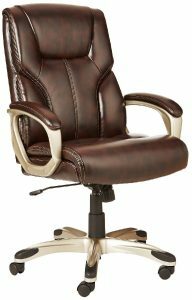 The High-Back Executive Chair also offers stability and gently curved arm rests, enabling the gamer to toggle their controller or keyboard\mouse with ease. On top of it all, this chair offers a versatile range of mobility as you can swivel 360 degrees to allow the user to perform multiple tasks at once. 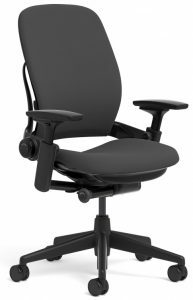 In addition to all of this, the AmazonBasics High-Back Executive Chair contains a handle that controls the tilt of the chair so you can essentially choose whether you would like a rocking chair or not. Amazon’s starting to really solidify their brand name with products in many different categories. As a different spin to the usual ‘gaming chair’, this here is a great lounging chair on the market, and one of the best video gaming chairs out there if you prefer to remain lower to the ground (more preferred by those who console game in a larger room with a TV). In terms of build, the Pedastal 2.1 is a multifabric chair that contains two speakers and a subwoofer literally built-in to it to feel like you are in the game as you play. If you are looking for the full video game experience, this chair is an accessory that you cannot go without. Technology seems to be ever-growing in the video gaming industry, and this chair displays just that. The AFM technology that this chair offers brings your video game to life and allows you to obtain a total sound immersion experience. Built in radio wireless receiver includes a wireless transmitter so that you can have an easier time working with just about any source. This chair was built for console gamers specifically in mind, so if you want to enhance your gaming experience with a surround sound experience, the X Rocker Pro Pedestal 2.1 is certainly is one of the better ones out there for those who it pertains to. Here’s another standard model to take a look at. 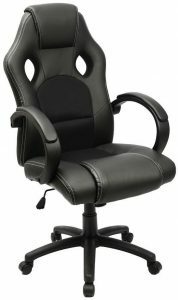 Whether you need a good chair for the work day or just a leather cushioned chair for TV binge watching and video game play, one thing that can be said with certainty is that this chair is sure to provide comfort for a pretty cheap cost. Coming in as one of our favorite budget-friendly chairs for gaming, this one is designed with High-Back PU leather as well as padded armrests. This chair will not fall short of your high expectations when it comes to comfort that won’t cost you an arm and a leg. Ergonomic design has this chair equipped to deliver the optimal gaming experience in addition to allowing you to rock back and forth for relaxation. 360-degree swivel wheels also makes this a great choice for multitaskers. If you are looking for a comfortable leather chair, the versatile Furmax Ergonomic Racing is one of the best options for gaming, work, and for study for a cheap price. The Steelcase Leap offers unparalleled comfort as its ‘LiveBack technology‘ is able to change the way that it’s shaped to emulate the movement of your spine and offer support to your body regardless of the way that it moves. The Leap’s ‘Natural Glide System’ technology enables the user to recline the chair while allowing the body to remain aligned with your work, preventing any stain in your eyes, neck or arms. 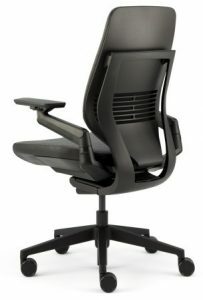 This is another high-end (and yes, pretty costly), unique chair by Steelcase that can be used in various settings, and is known for being one of the best gaming chairs as well due to the longevity and comfort you attain. Tested to support up to 400 pounds in weight makes it one of the more stable options out there and a popular option for students as well. The Steelcase Leap is just another high-end chair with considerable features for your enjoyment if you have the cash on hand to invest in a chair that will last you years. Ergonomic says it all, as this is a chair that is designed to mitigate the possibility of fatigue and restlessness. 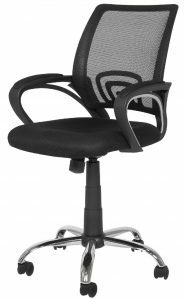 Due to the model’s ability to contribute a comfortable design while sustaining the appearance of an office chair, this is a chair that is truly first in its class when it comes to extremely low-priced options. The chairs thick padded mesh seat as well as its padded armrests enable the user to have decent comfort while staying productive in the game world. 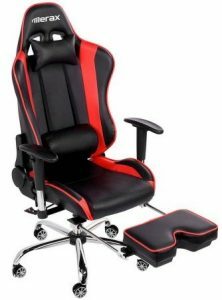 Also as a popular choice for relaxing, this is a chair that is considered one of the best chair for gaming, watching television, as well as kicking back to some music. 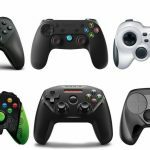 It is on the smaller side so therefore has a weight capacity of 250 pounds; however, like the others, it’s also equipped with 360-degree swivel and tilt mechanisms that also allows the user to perform multiple tasks at once. The Ergonomic Mesh Office Chair is designed to minimize physical effort at a super low price — no real fancy features here, but you’ll at least be getting some comfort without breaking the wallet.